Mark Evill’s company received almost £708,000 from the UK Health Board. Bono (Paul Hewson) performs on stage at the O2 Arena, London. A MAN WHO used pseudonyms inspired by members of U2 has pleaded guilty to fraud offences after he awarded lucrative contracts to his own business while working for a health board in Wales. Mark Evill (47) told Merthyr Tydfil Crown Court that he had made up personas, using the real names of U2′s Bono and The Edge. Evill worked for the Estates and Property Department of the Powys Teaching Health Board between February 2014 and May 2015 and was responsible for project management at the board. However, instead of putting projects out for competitive tender he would ensure his own company, George Morgan Ltd, was picked. His company received almost £708,000 from the Health Board after he created characters called Paul Hewson and David Evans who would compose emails for the company and sign off quotations. The court heard how Evill used the money he made in the fraud to buy land and properties in Wales, take two luxury holidays to Dubai and buy numerous cars and watches. “Mark Evill took hundreds of thousands of pounds from this public body out of his own greed, using his colleagues to ensure his business received lucrative contracts for work,” Juliette Simms, Specialist Prosecutor in the Specialist Fraud Division said. Two other employees, Robert Howells and Michael Cope, were also convicted of fraud offences for their roles in the scam. The court heard how Robert Howells, an agency project manager in the department, held the funds for a number of works George Morgan Ltd undertook. He received a £1,000 payment from the company and was helped in buying a car. Cope was found to have received £500 from Evill in return for him helping to pass work to the George Morgan Ltd business. He denied fraud and acquiring criminal property but was convicted by a jury. The three men will be sentenced on 2 November. Email “Businessman falsely used names of U2 stars to steal six-figures sums from UK health board”. 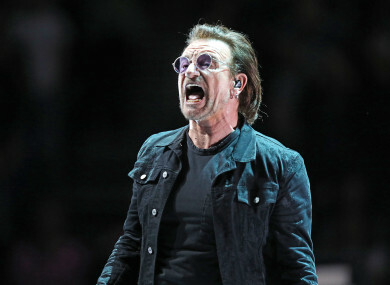 Feedback on “Businessman falsely used names of U2 stars to steal six-figures sums from UK health board”.